As adults, many of us know the detailed history of the American Revolution. We’ve heard the tale of Paul Revere’s ride, of the Founding Fathers, and of Nathan Hale’s last words. Not much, however, is told about the role of women in the fight for independence. With this in mind, I decided to review Cokie Roberts’ book Founding Mothers. Roberts is the daughter of two prominent former members of Congress and is a well-respected news anchor. 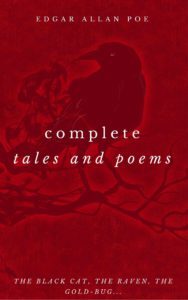 Two versions of her book were created: one for children and a more in-depth one for adults. I have addressed both in this review. Each book opens with Deborah Reed, the wife of Benjamin Franklin. In both versions, we discover that Deborah and Franklin met while they were still in their late teens, fell out of touch but reconnected years later. In the expanded adult version, we discover that Franklin was sent away on business and quickly forgot about Deborah. As a result, her mother married her off to another man who eventually disappeared in the West Indies. Later, after Franklin and Reed reconnect, they are unable to legally marry due to the fact that her first husband’s death cannot be proven. The relationship was well accepted however, so Deborah took the name Franklin and became recognized as his wife. In the children’s version, we are told that Benjamin was appointed as Postmaster and required to travel extensively, leaving Deborah to run the Post Office in his stead. Roberts expands on this in the adult version, and we find out that Franklin traveled to England for an extended period, setting up household with another woman while his wife ran a sundry shop and maintained the post office. In addition, Deborah later kept the books for Benjamin’s print shop and invested in real estate, opening some of the first franchises in the country. After traveling back and forth, Franklin returned to England promising to be back within seven months. He did not return until after Deborah’s death more than ten years later. Both of Roberts’ books give us glimpses into some of the lesser known women of the Revolution. A brief quote from The Women of the American Revolution by Elizabeth Ellet tells of a Mrs. Pond who fed more than 100 Patriot soldiers the morning after the Battle of Lexington. Other less famous women include Emily Geiger who carried a message through British territory for General Greene. She was detained by British soldiers who called in a woman to search her. During the delay, Emily could memorize the message and swallow the paper evidence. Finding no justification in keeping her, the British freed her, and she rode on to deliver the message. Margaret Corbin’s husband, John, was killed at Fort Washington, New York. Afterwards, she took up his artillery position and was wounded three times. Unable to work after the war, Corbin petitioned Congress for a retired soldier’s pension. They agreed, making her the first woman in United States history to receive a military pension. She was re-buried at West Point in 1926 and is one of two Revolutionary War veterans interred there. One amusing mention in Roberts’ book is of Mary Lindley Murray. After defeating the Patriots at Kips Bay in 1776, British General Howe and his soldiers stopped at Mary’s house for dinner. Mary was quite generous with the wine and managed to distract Howe and his men long enough for the American soldiers to escape. Another notable woman of the Revolution was Deborah Sampson. In the children’s version of her book, Roberts’ tells us that Deborah made herself a suit of men’s clothing and joined the army as Robert Shurtleff. After serving for more than three years and being wounded twice, Deborah eventually fell ill and was discovered by the doctor treating her. She was then forced to leave the army and after the war had ended was granted a soldier’s retirement pay and recognized by Congress for her service. 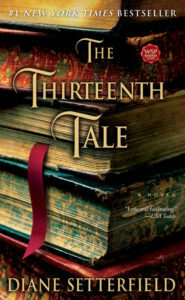 In the adult version of this tale, Roberts fills in a few more details. Deborah Sampson did indeed serve as Robert Shurtleff for more than three years. Ironically, the men she served alongside nicknamed her “Molly” due to her inability to grow a beard, never realizing that “he” was indeed “she”. 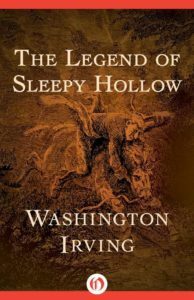 The doctor who discovered her secret kept it hidden and sent her on a mission to deliver a letter to General Washington who immediately granted her an honorable discharge and enough money to get home. Years later, after several petitions to Congress, she was granted a retirement pension of $76.80 per year and some land to live on. Roberts delves into the histories and services of many other women of the Revolution. The Daughters of Liberty began a boycott of merchants that sold British goods and created “spinning bees” where they spun cloth to provide clothing for the Patriot army. Eliza Lucas Pinckney at the age of 19 decided to grow indigo for the soldier’s uniforms and eventually created one of the largest agricultural businesses in South Carolina. Roberts also tells us about the women of whom we all have heard, such as Martha Washington. Martha is credited as being one of the first people to receive the smallpox inoculation, thus encouraging the soldiers by example. The inoculation is now considered to have given the American army a major advantage over the British. In addition, the reader is told about Abigail Adams who ran her husband’s farm while overseeing the education of their young children, wrote letters favoring the abolition of slavery, and spent much of her life advocating women’s equality. Both books do an excellent job of keeping the subject matter fresh and interesting. 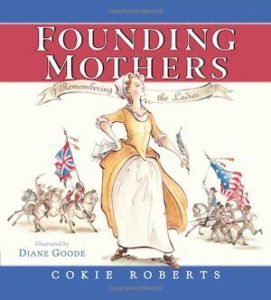 In the children’s version of Founding Mothers, Roberts manages to present the subject matter in a way that is easily accessible but is not dumbed-down. 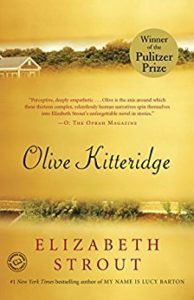 In the adult version, she gives more detailed anecdotes of the women’s lives and the roles they played in shaping the early days of our country, but does not bore the reader with irrelevant trivia. I enjoyed both books immensely and recommend them to readers interested in learning more about the women of the American Revolution. Children’s books are an often overlooked genre. There are so many on the market that it can be a struggle to know where to begin with your beginning reader. With that in mind, here are six new children’s books geared towards pre-schoolers or other young children. Love Monster is a clever little tale written by Rachel Bright about a “slightly hairy and a bit googly eyed” monster who lives in a town called Cutesville. Cutesville is, as the name suggests, a town populated by cute and fluffy residents such as kittens, puppies and bunnies. Unfortunately, there’s no one in Cutesville to love the monster, so he decides to go out into the “big wide world” in search of love. 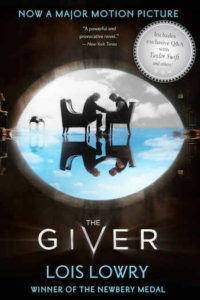 The book follows his adventures as he looks all around for someone to love him just as he is. Love Monster is a great way to teach kids that it’s okay to be different and that we shouldn’t judge based on looks because even a “slightly hairy and a bit googly eyed” monster deserves love. Although written to be silly, Love Monster manages to find a nice balance of conveying a strong moral message while not falling into the ridiculous. 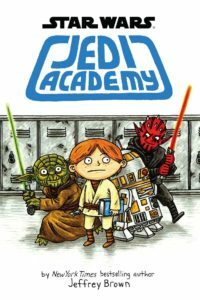 In addition, the storyline is interesting enough that parents will not mind reading it over and over. 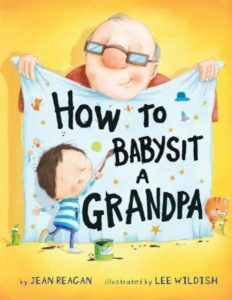 How to Babysit A Grandpa by Jean Reagan is a fun story about a little boy who babysits his grandfather one day while his parents are out. Written in a how-to style, the book lists a variety of things kids can do with their grandparents while babysitting them for a day. Some of these activities include giving him snacks such as ice cream topped with cookies, or cookies topped with ice cream (depending on your preference). Other suggestions consist of taking him for a walk to look for lizards or to teach him the importance of jumping into puddles. How to Babysit A Grandpa provides an excellent jumping off point for parents whose kids might be apprehensive about having a babysitter. Told from the perspective of the child, the book immediately reassures the reader that “Mom and Dad always come back.” In addition, it gives many ideas for the child to use to have fun with their babysitter or grandparent. How to Babysit a Grandpa goes a little overboard on the cute and might be a little juvenile for the 5 – 8 year old age range to which it is marketed, but might also be on the lengthy side for kids younger than 5 years old. 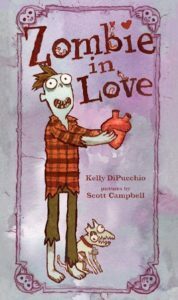 Zombie In Love by Kelly DiPucchio tells about a zombie named Mortimer who is looking for a girlfriend. Mortimer tries a number of different tactics to find love but is overwhelmingly unsuccessful. 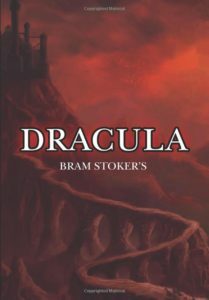 He simply cannot find “the ghoul of his dreams.” Mortimer tries several different tactics in his quest for love. He tries giving one girl a diamond ring. The next, he gives a heart. He even tries to go to the gym, but unfortunately his arm keeps falling off. Eventually, Mortimer decides to place an ad in the paper in the hopes that someone will meet him at the Sweethearts ball. Targeted toward children aged 4 – 8, Zombie In Love is an entertaining read that will quickly become a regular in the bedtime reading rotation. Kids who are in that “love of all things gross” stage will enjoy the zombie aspect, and the subtle visuals such as the diamond still being attached to a finger or an actual beating heart being given as a gift will keep parents entertained as they read this story to their child repeatedly. 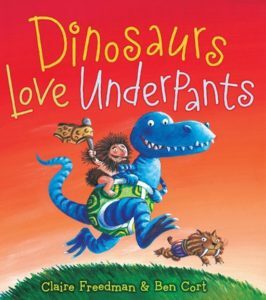 Dinosaurs Love Underpants by Claire Freedman sets out to tell the true story of how dinosaurs became extinct. It turns out that cavemen realized they needed clothing and discovered the wonders of underpants. The fiercest of all dinosaurs, the Tyrannosaurus Rex, sees the new underpants and immediately wants them. What follows is both a literal and metaphorical tug of war between dinosaurs and cavemen over underwear. Soon the Triceratops is wearing them on every horn, and the Stegosaurus discovers he is allergic to wooly mammoth underpants. In addition, TRex keeps tripping on them, and Diploducus’ pinch uncomfortably. Written entirely in rhyme, Dinosaurs Love Underpants is written for children ages 4 – 7. Though not intended as such, Dinosaurs Love Underpants could be used as a tool for parents in toilet training. Younger children who see how much the dinosaurs love underpants might be inspired to want to wear them as well. 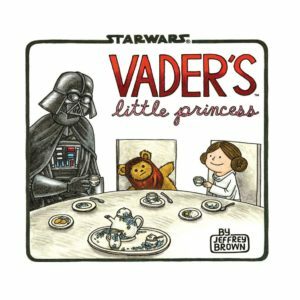 Older kids will enjoy the brilliant and amusing illustrations but may otherwise find the storyline on the ridiculous side. While a cute read, the ending was too sudden, and the rhyming theme lost it’s flow midway through the story. 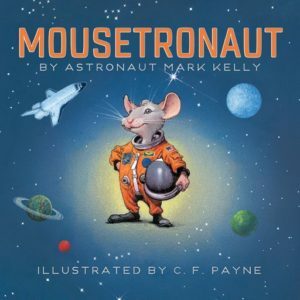 Mousetronaut and Mousetronaut Goes to Mars are two educational books by Mark Kelly. Based partially on a true story, these books tell about a mouse named Meteor who travels on the Space Shuttle and participates in events such as the Mars Rover landing. Meteor is thought too small by the other mice to be picked for the Space Shuttle mission. Determined to prove them wrong, Meteor works hard to prove that size isn’t always what’s important. Written for children aged 4 – 8, both books present an opportunity for parents to teach their kids about NASA, the space program, and what it’s like to travel on the Space Shuttle. Young children who are at the stage of dreaming of being an astronaut will enjoy following Meteor’s adventures. Slightly older children may be bored and find the story over-simplified. Parents will enjoy the teaching opportunities presented, but it is unlikely either book will become part of the nightly bedtime routine.